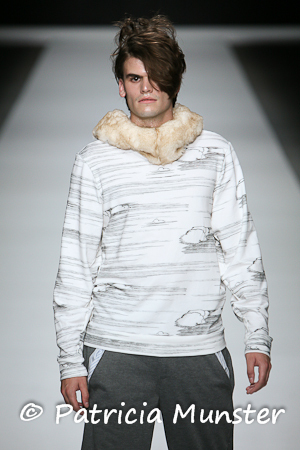 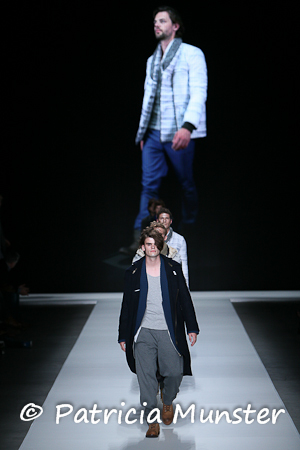 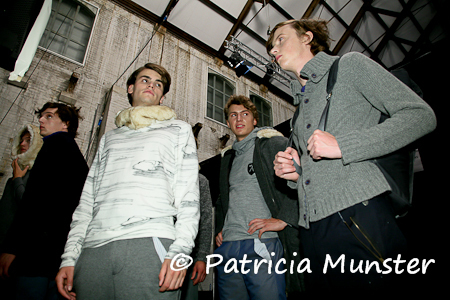 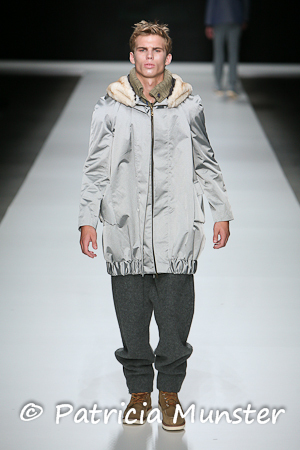 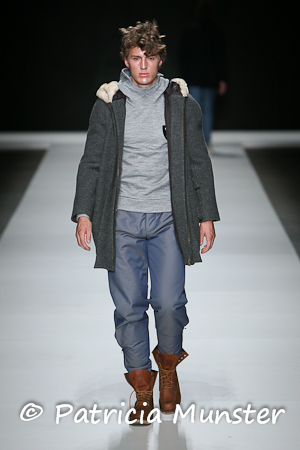 Quoc Thang presented on the fourth day of the Amsterdam International Fashion Week his F/W 2011 menswear collection, 'A place over Yonder'. 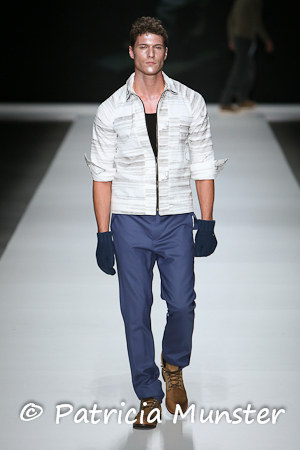 The designer tells with this collection the story of an adventurer defying cold area's in search of security and safety. 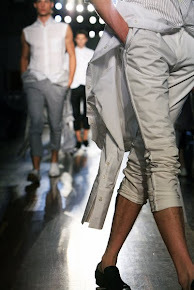 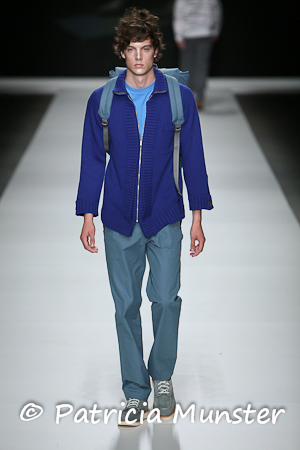 Multiple blues and greys and a touch of green here and there in fabrics like high tech nylon, wool and waxed cotton.